This Year I am baking a huge batch of assorted cookies for friends and family. I will sharing more Christmas cookie recipes on my blog, hopefully by Christmas day. I was doing too much baking that I got tired to share recipes on my blog. I have always wanted to try these shortbread cookies, they are popular on Pinterest, but for some reason I kept postponing to bake them. 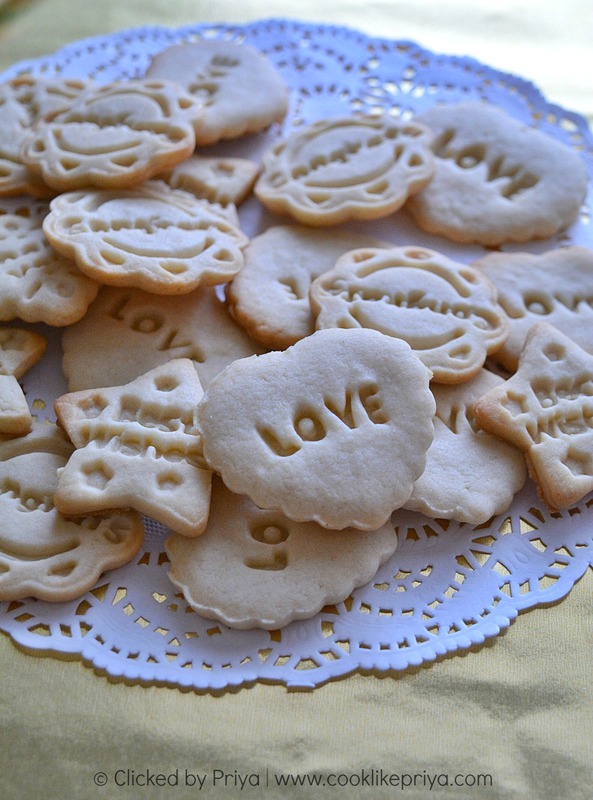 Last week when I saw my friend +Sangeetha M bake these cute cookies I thought its time to bake them ;-). 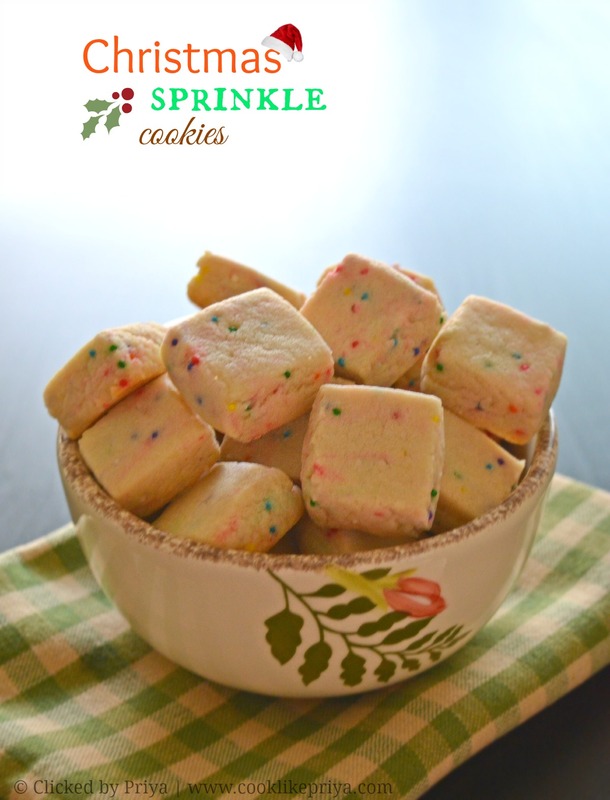 Bite size Christmas shortbread cookies sounds interesting right? and this definitely is such an easy recipe too. If you have any kind of sprinkles just go ahead and make these. 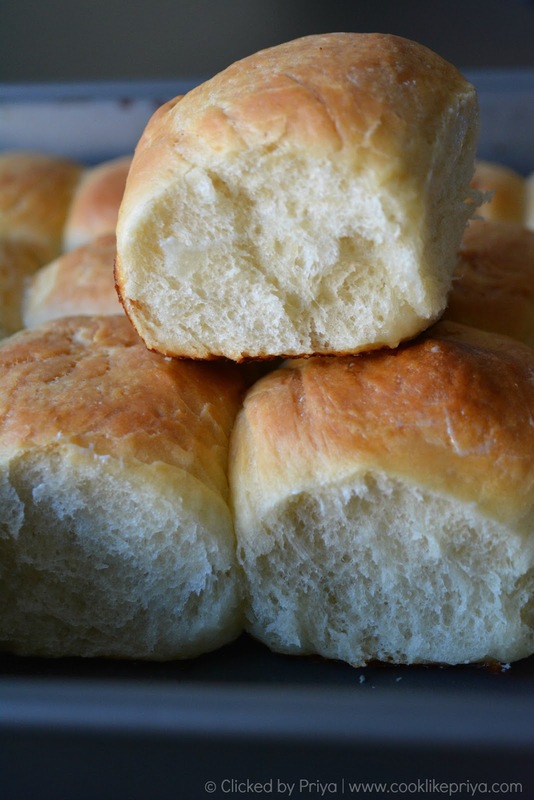 They are soft buttery and so attractive that you don't want to miss baking them for christmas. I could not find christmas colors like red and green sprinklers so I went ahead and used mixed colors and they look so attractive nevertheless. For more Christmas Recipes click here. I love homemade gifts, they taste great, add a personal touch and also make people feel special. One other great aspect is knowing the ingredients you put in them. That said as days are running its time to start prep for the celebrations and why not pack edible gifts as a thank you gift for your guests. Or if you are attending a party at your friends place then pack these to gift them. Trust me they will love it and appreciate it beyond words. I had got these cute message cutters from a review I had done a while ago for Gourmet Co, you can check the post here. You can pick similar cookie cutters in any online or baking supply stores. If you are not the type who does not have patience to do royal icing or fondant or don't have time incase you are looking at a large batch then these cutters are the answer. Its the best time of the year - Christmas and hardly few days more and I have been counting fingers :-) with our relocation and the time of the year I mean I am all excited for whats ahead. So thankful for this phase in my life where I can sit and think about how far we have come. This happy place seems to be so energizing in a way. Can't than God enough for everything, counting my blessings make me realize how much I am fortunate and how much I am blessed beyond understanding. Thanking God for He is my anchor and my friend. But that said I have been running recipes in my mind to cook for Christmas and baking sure takes all the attention. 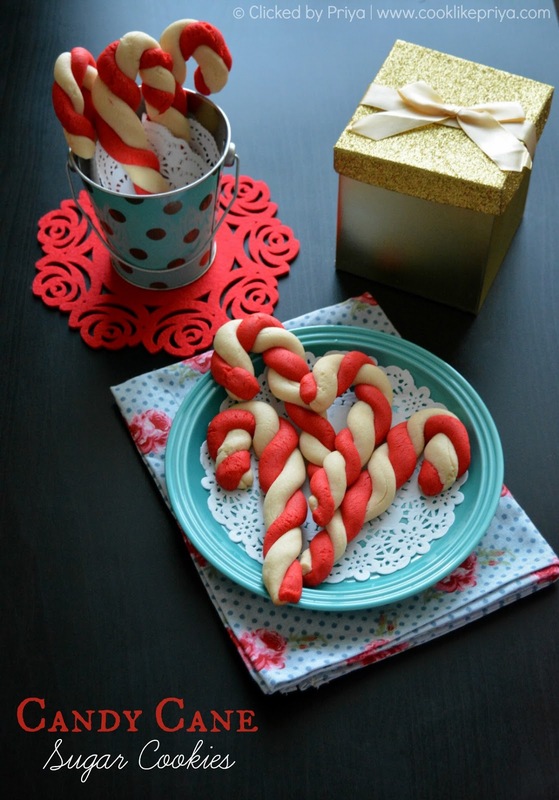 I have always loved Candycanes and most recipes for candycane cookies call for eggs so I wanted to get my hands dirty to make a candycane cookie recipe that is eggfree. I saw many recipes online and on pinterest where the candycane cookies have a pink tint and I really wonder why. Follow the recipe to the dot and let me know how it turned out. I always love experimenting in the kitchen, I have never found a good granola bar in all honesty. All the store bought ones are either sweet, sticky or have ingredients that I don't fancy. So what do I do? 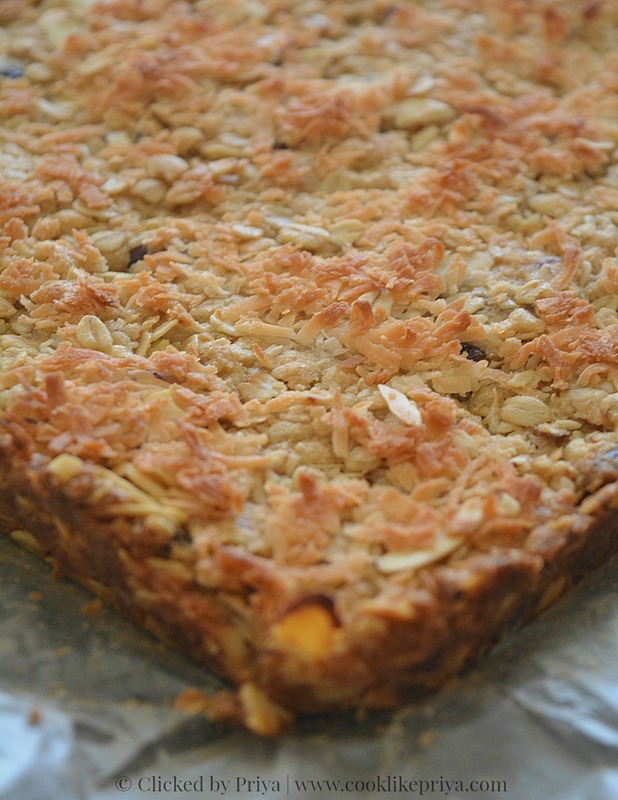 tried my hands in making healthy homemade granola bars. Crunchy on the outside and moist and soft on the inside, a perfect way to cure the sweet tooth and enjoy a light bite. Pack these as a snack for your kids and family they will enjoy those sweet moments of break and thank me later ;-). Since Christmas is coming why not make these for your friends and family, since its egg free vegetarians would love them too. Also you can make them vegan by skipping the butter and adding some vegan butter or coconut oil. Here's a list of readers favorite Christmas recipes from last year ;-) a blast from the past! I adore chaat recipes, to me they fit into the best snack food category that is spicy, hot and filling. From Dhoklas, sev puri, pani poori, misal pav, ragda patties to pav bhaji I love them all. I still remember during college days how we used to plan to go to the chaat shops in a nearby mall for evening snack. One of the best excuses if you study in an evening college ;-). 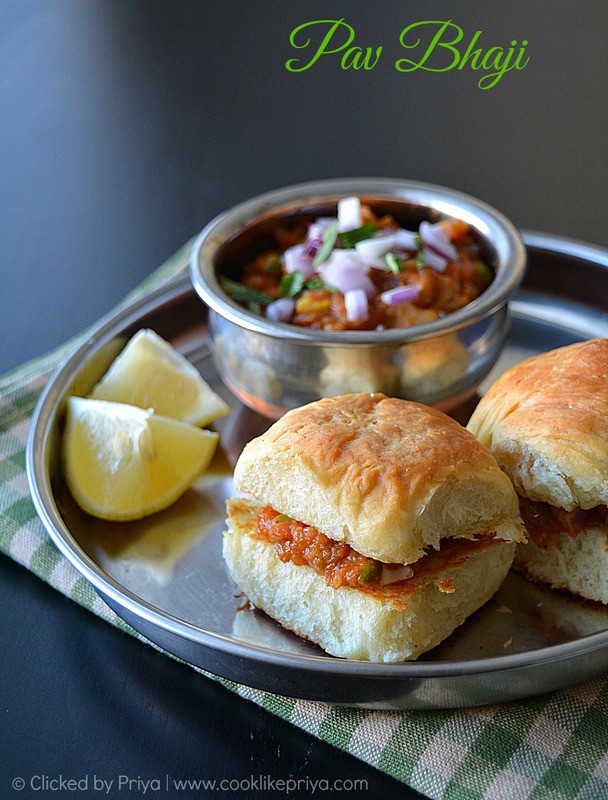 Although I love and miss chaat so much my husband on the other hand does not enjoy chaat, the other day I was so tempted to make pav bhaji and went ahead with my usual recipe, a no fail eggless pav buns recipe or dinner rolls that comes perfectly every time. The buns are soft and spongy and are quite light to touch but filling with a bowl of spicy pav bhaji masala. I tried to incorporate my own freshly ground pav masala. You can very well use store bought pav bhaji masala for a quicker version. Baking bread is not rocket science, anyone can bake bread at home as long as you friend yeast. Learning to use yeast is definitely a trick but with practice you will fall in love with freshly baked bread at home. i still remember I struggled with yeast and every time I try to proof yeast it would just not foam up and I used waste another set of yeast just to get all the more disappointed. But one of my friend she helped me and said use warm water and not hot water, all the while I used to kill yeast and it never foamed up. As I did my research I also learnt that yeast does not foam up if it is expired. If you are someone who never had luck with yeast trust me it is simple logic, warm up water in a microwave for 20 seconds, it must be warm to touch and try to add a drop of the water in your inner wrist it must be warm and not too hot. Just add sugar and yeast to the water and mix it once. Let it sit for 5 minutes and the yeast should proof if it does not proof then something wrong with the yeast check the expiry date if thats not the issue then the issue is with the water, repeat the process again. 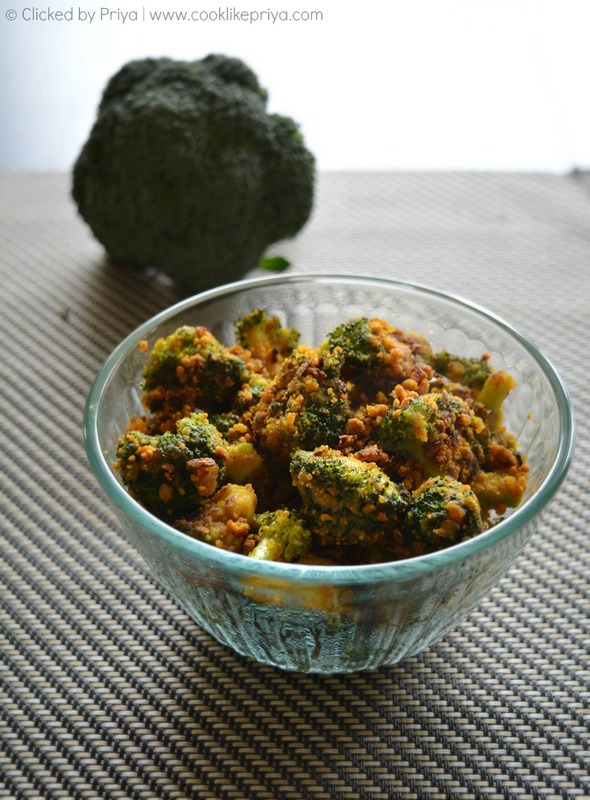 Broccoli is a wonderful super food and most times we shy away cooking broccoli in an Indian recipe. I was one such person who never wanted to cook broccoli but although I loved to cook with them for their nutrient value. Chasing all odds I picked up broccoli on my grocery shopping last week, I wanted to try a simple yet easy recipe to start with. I made this simple Broccoli masala stir fry that turned out to be so good and easy too. Usually broccoli is one vegetable that is tasteless and making a recipe with broccoli has to be something that is flavorful, and flavor from the other ingredients that will get absorbed in the vegetable. Broccoli masala is a dry stir fry dish that goes well as a side to rice and dal or as a side dish for chappathis. Off late I have been baking a lot, call it stress, the cold weather or the blessing of a bigger oven, I am just loving the whole therapeutic effect of baking. I am actually loving the kneading part and i do everything with hand and there is a joy of making bread from scratch and using hands. Although I love to own one of those fancy KA ;-) but for now let me just rant my stuff with my hands and gluten dough. 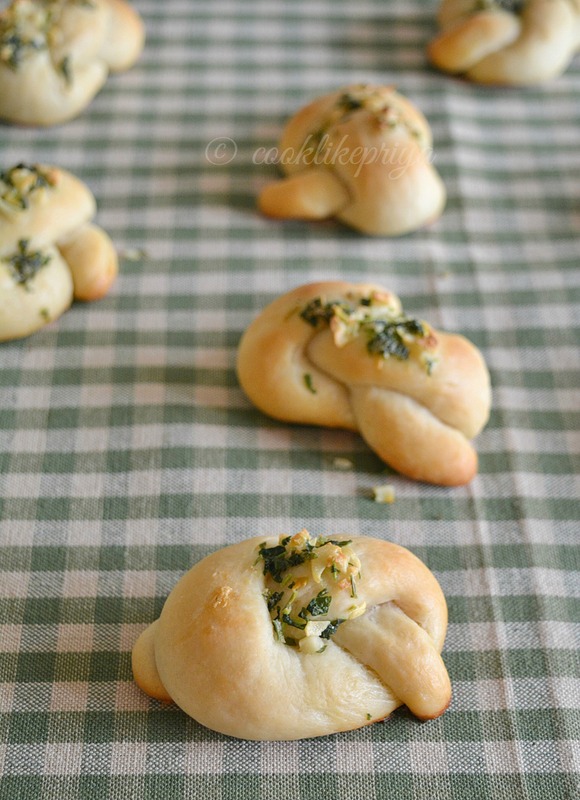 The other day when I posted a picture of these garlic knots on my facebook page I got a comment from someone says extra walking and extra calories, I mean being Indians we don't do bread daily but once in a while its ok. 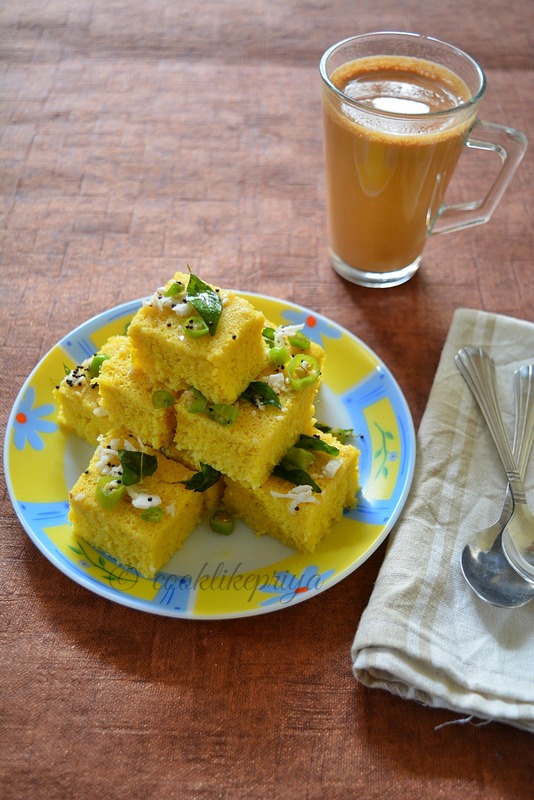 I get that it is calorie high but so are most Indian sweets, naans and don't forget those fried mixture that you sneek having with your coffee or those biscuits that are meant to be dunked with your coffee. Bring Indians we go love our gluten, carbs and our sweets don't we. So lets quit complaining have a piece of bread and go for your walk. Enough of my rant now and lets move on to the recipe. 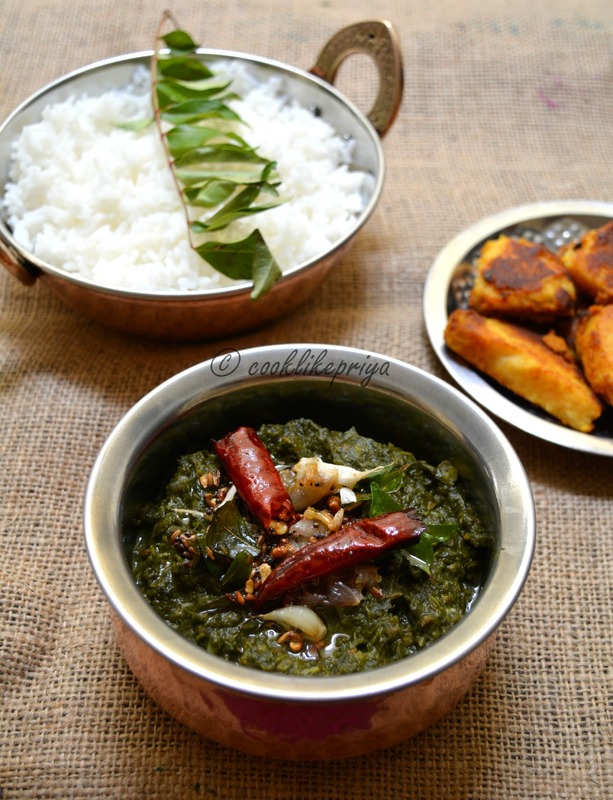 Greens (Keerai) are a staple in our house, Amma made sure that we have variety of them. 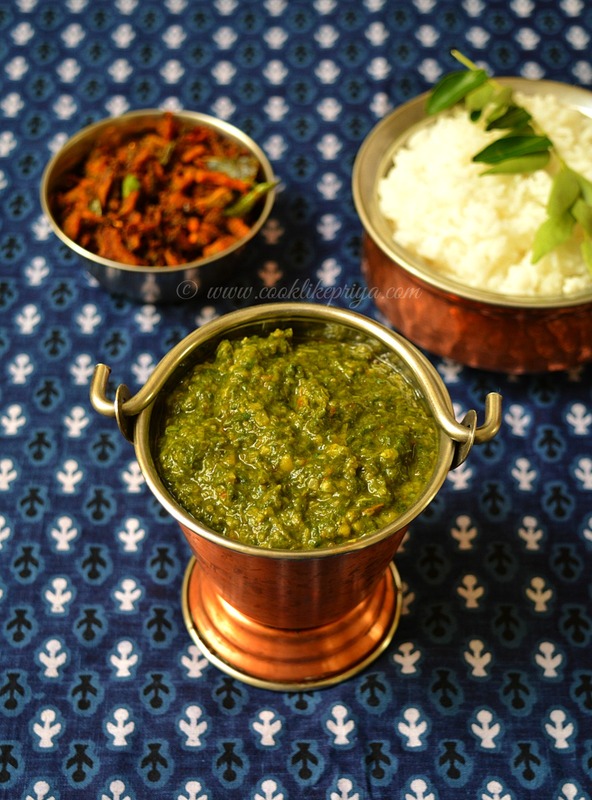 I have made efforts to document all the different kinds of keerai recipes in my blog. I remember back when I was young I was never fond of greens but now with all the knowledge of how good they are for your health I have started to change my food habits and add greens to meals or salads. Taking about salads I have found this new interest to salads and dressings and make variety of salads as a dinner meal. I will soon make efforts to post salad recipes. I find myself enjoying salads more than regular food, I find them light filling and my stomach feels so relaxed the next day. Its definitely a tummy cleanser and great if you are someone looking to lose some weight. 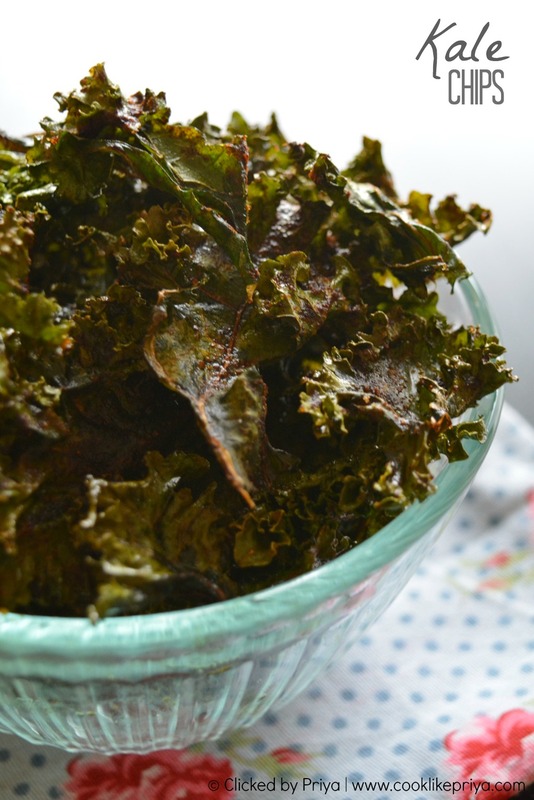 Comment below if you would love to see salad recipes on my blog :-). Somedays I am all up and cooking 3-4 dishes in a row, other days I really drag myself to cook a decent meal. But today I was full of energy and made this delicious Coconut milk chickpeas curry, if you know me you know that I love chickpeas and I cannot get enough of them. But on the otherside my husband does not like chickpeas whatsoever but that does not stop me from cooking them. Today I didn't pack lunch for him so I ended up making this curry. That said I love to soak chickpeas overnight and boil them fresh rather than the canned ones. But once in a while not bad to enjoy beans that are tinned. Nevertheless this is one easy curry to make with basic ingredients in your pantry and goes along well with soft hot chappathis and can be paired with pulao or white rice too. Its been some time that I had blogged, been busy with a house shift & I am taking things slow to settle down and I wanted to post one of Amma's fish curry which has been in draft for a while now. 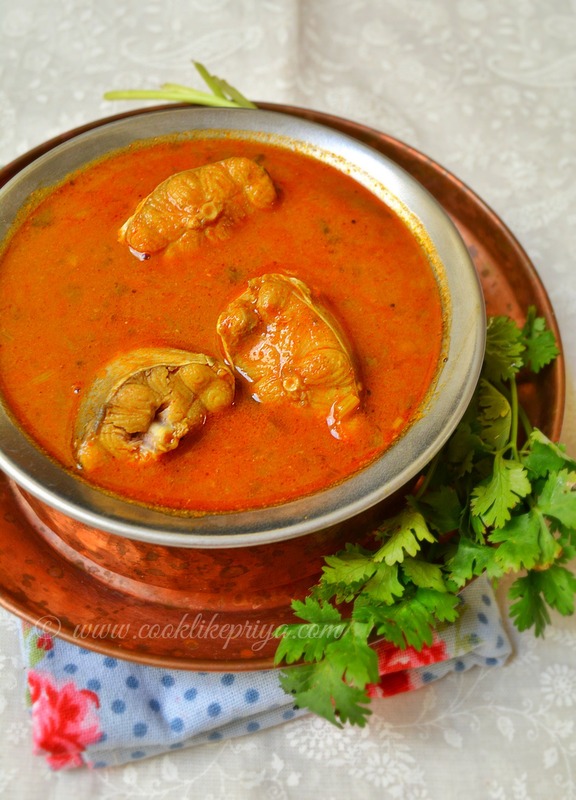 This curry is something I long for and she has so many varieties of fish curries that I have already posted recipes - Tamarind fish curry, Coconut fish curry, Mango fish curry and today I am sharing with you a quick & easy fish curry that does not call for any coconut. 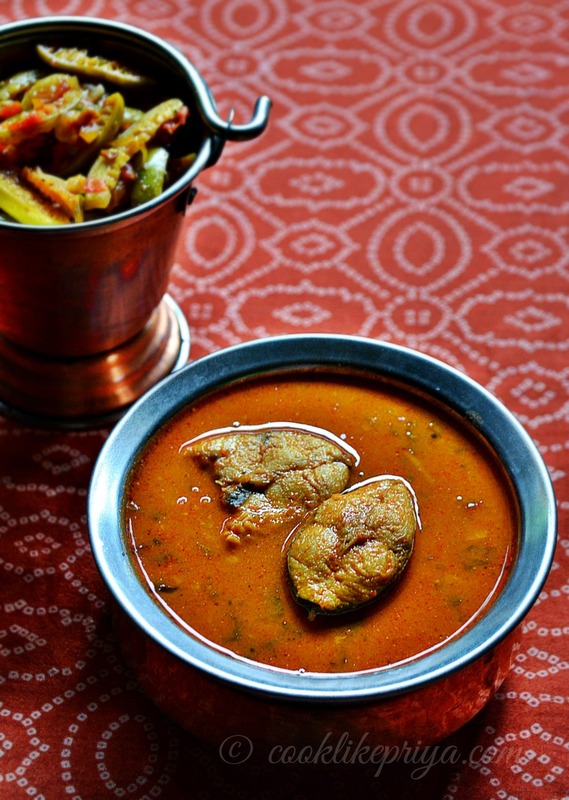 This is Amma's version of a quick fish curry that is so easy to make, perfectly flavored and is relished with white rice and poriyal. 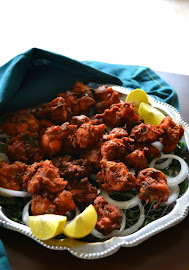 This was our lunch today and I happily clicked pictures to post on my blog ;-). How I wish I lay back and someone cook recipes for my blog :P but trust me this is not the case always. When I am home I make sure to request a list of recipes from Amma so that I can enjoy them and blog them too. Don't we call love easy snack cakes? 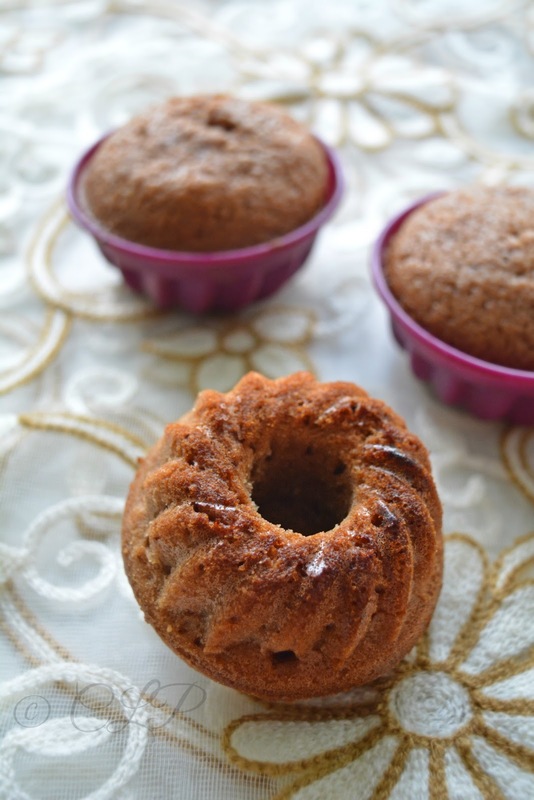 I am a huge fan of light eggless cake recipes, if there is a way to skip eggs and butter to make cakes then I am all game to the idea. 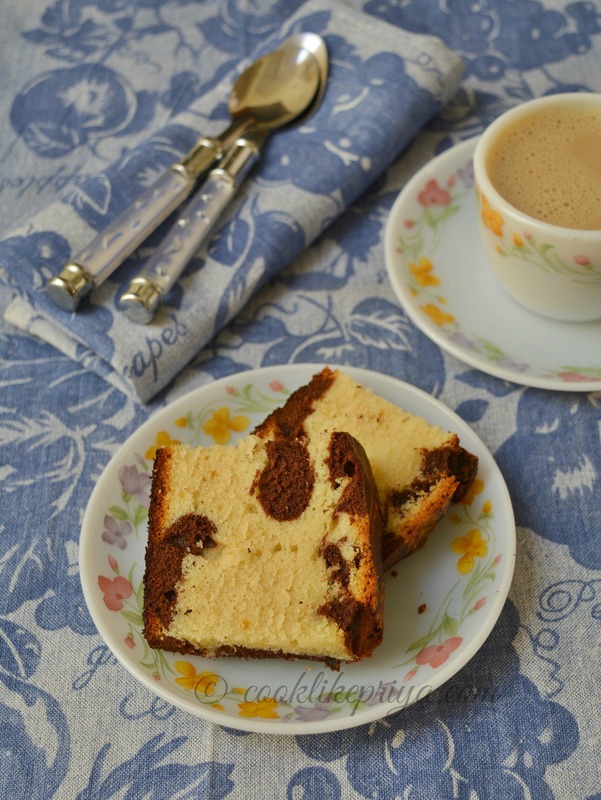 I have tried many eggless cake recipes which I thought would be great to share in one single post. Usually Eggless cakes are said to be dense, oily or too moist. But not really, although in the baking world people even war about eggless cakes and cakes with eggs. For special occasions I prefer to bake a sponge with eggs and for regular cake cravings I stick to cakes without eggs. If you ask me which I enjoy better? I love them both, its hard to not fall in love with a perfectly baked cake isn't it?. 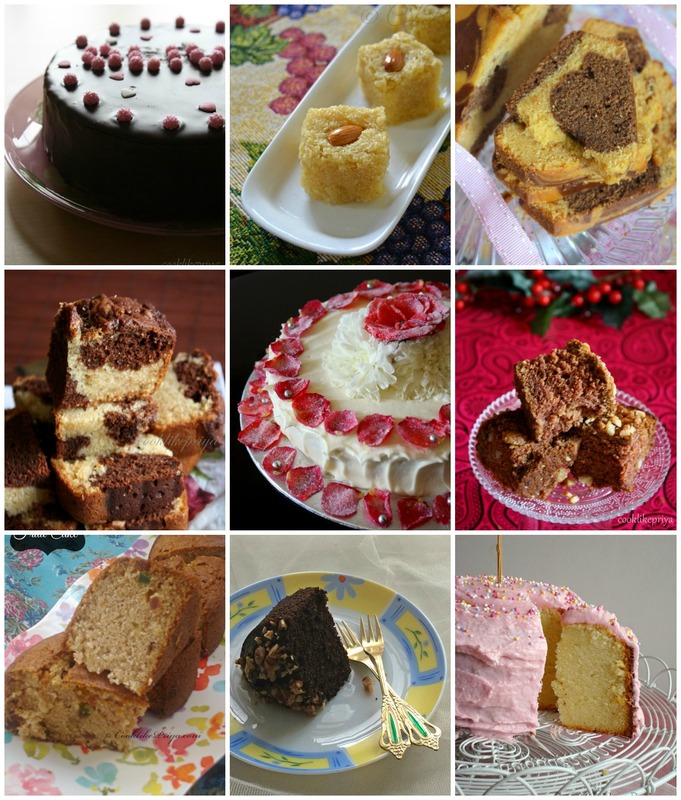 All these cakes are tried many times in my kitchen and loved and devoured by my loved ones. If you are a baker do you need an excuse to bake? certainly not ;-). Go ahead and enjoy baking these cakes for your loved ones. 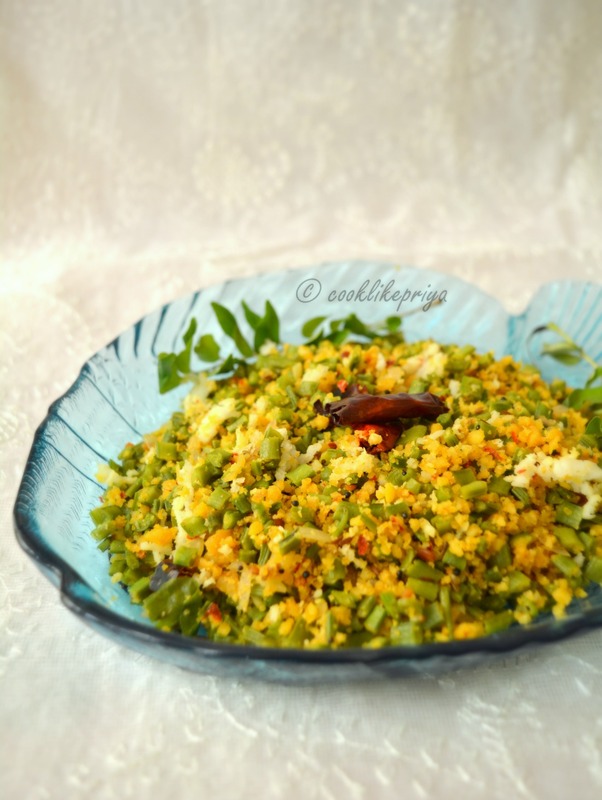 Kothavarangai (Cluster beans) usili is a popular vegetarian side dish which is a famous iyengar (brahmin) recipe. 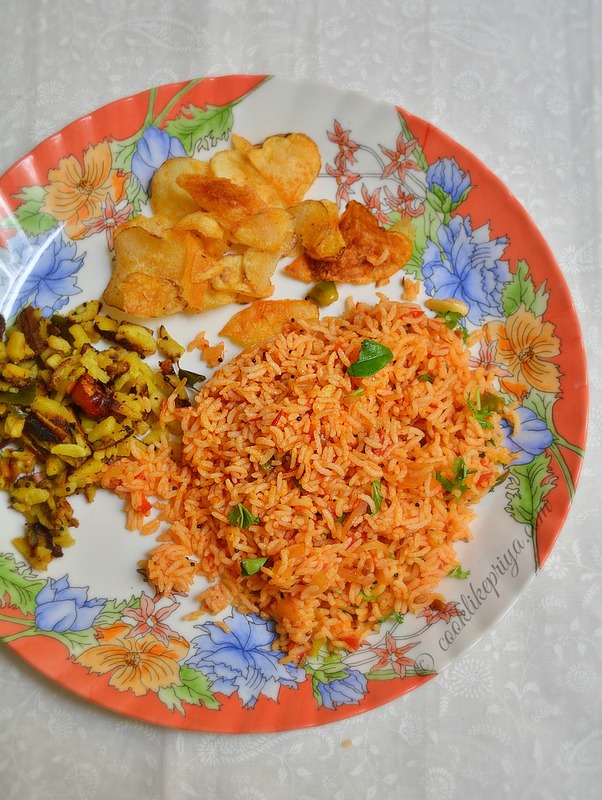 Amma did this side dish around a month back and I just found time to post this recipe. 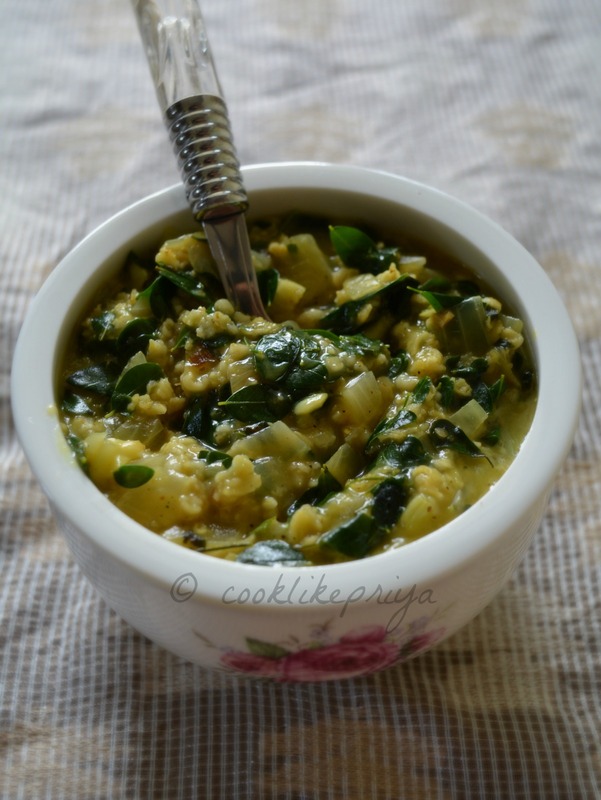 Its a delicious combination of vegetable and lentils in one dish. 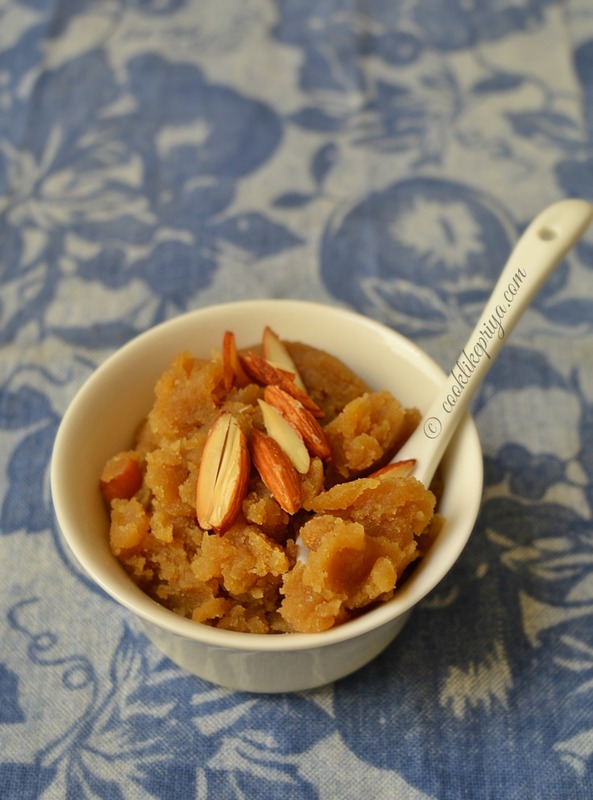 A perfect wholesome side to go with your rice or even roti. 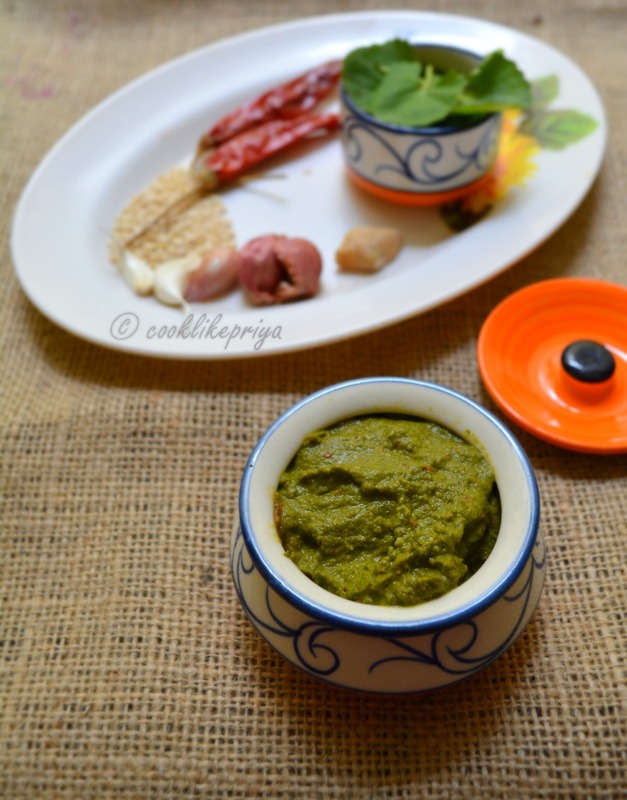 The usili base can be used for any vegetable side dish that you like. 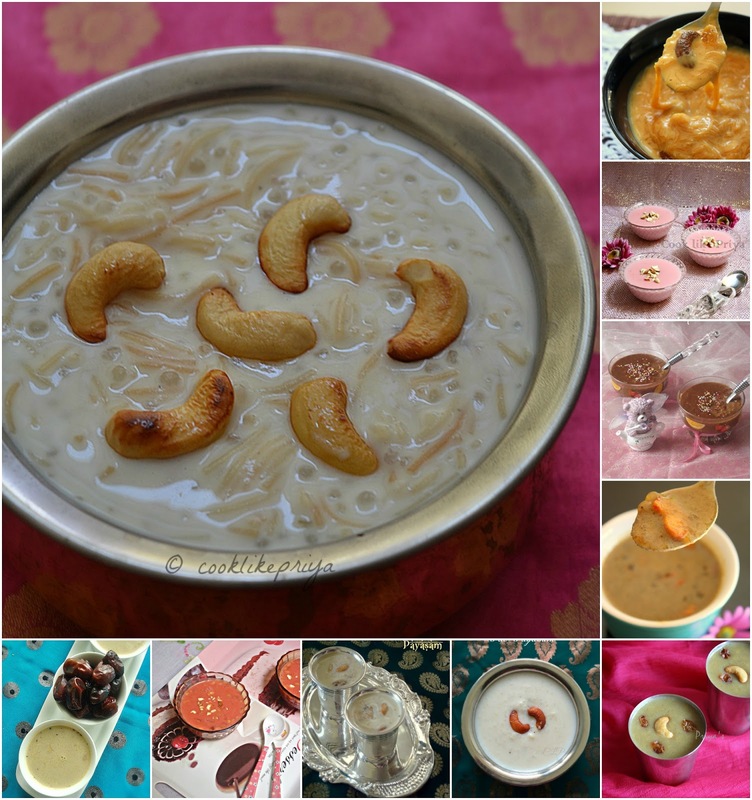 The most quickest and easiest Indian dessert would be Payasam/ kheer, mostly milk based sweetened with sugar/ jaggery and garnished with nuts and raisins. 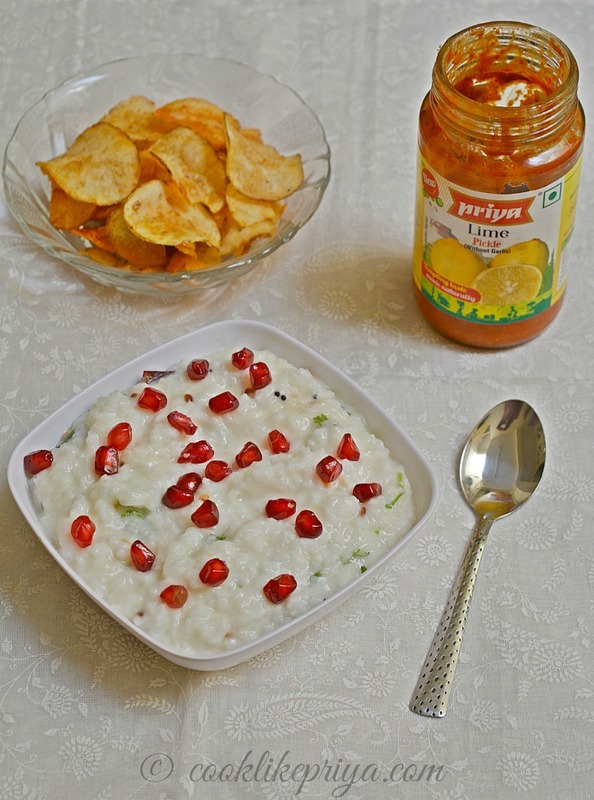 There cannot be a festive occasion complete without a delicious spread of great tasting food and with a payasam/ kheer recipe to complete the lovely meal. Here is a list of my favourite payasams from my blog all in one single post. 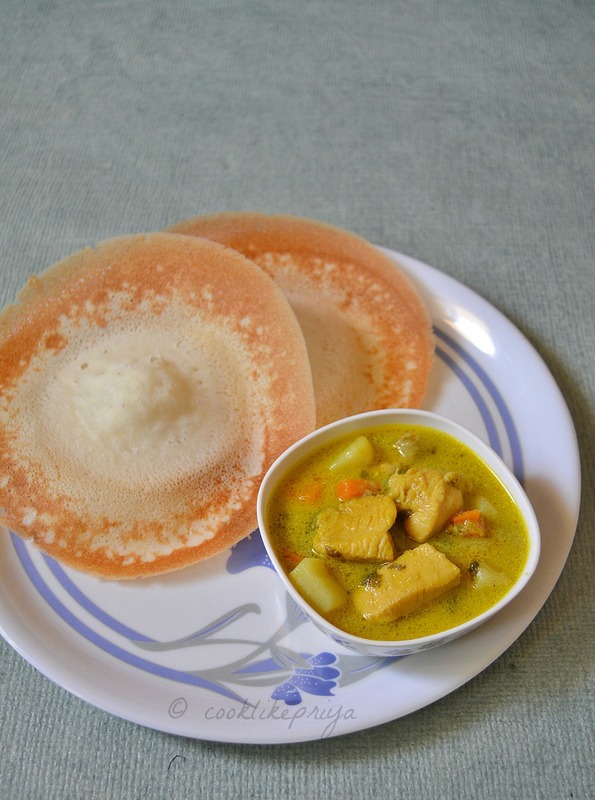 Last week when I posted the Vegetable stew recipe on my blog, I got a request for Chicken stew recipe and since my husband's birthday was nearing I wanted to make Chicken stew and appam for his breakfast. 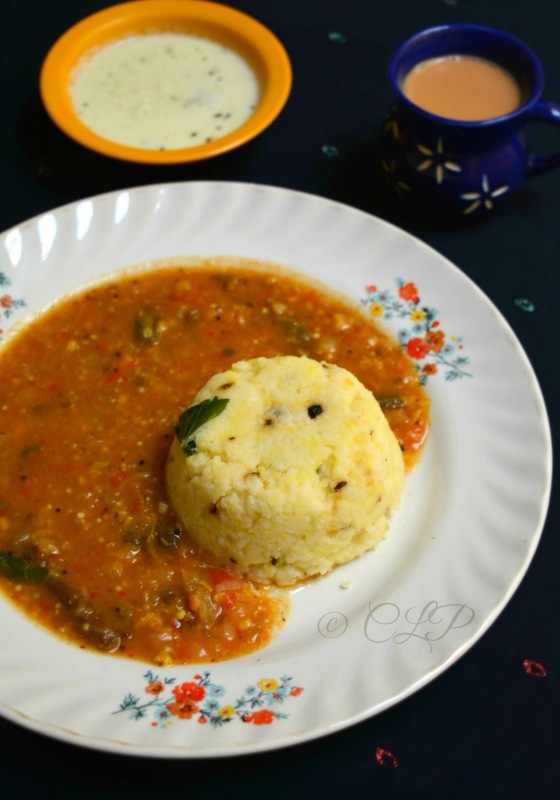 I love mallu food and I have already posted many delicious mallu recipes on my blog like the aviyal, mango fish curry, ragi puttu with kadala curry, appam and so on. 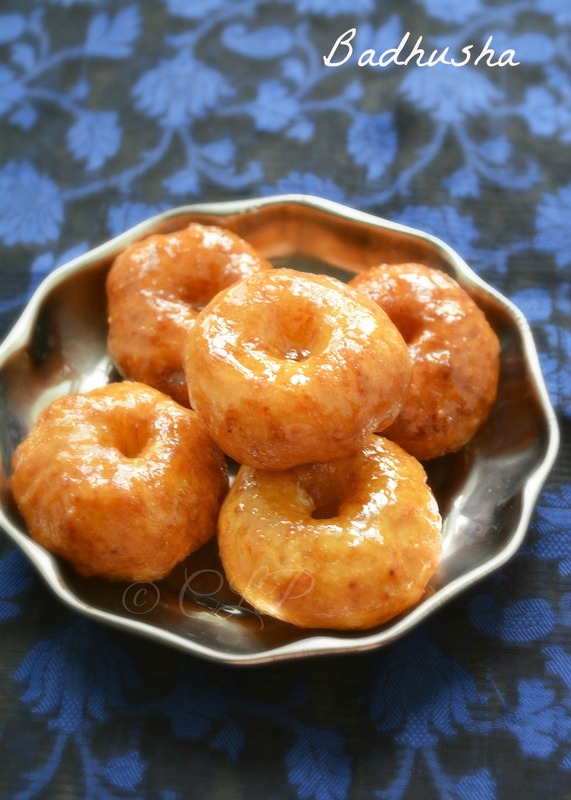 There are many more kerala recipe that are our family favourite but yet to be blogged. When Amma was a newly wed she had a lovely mallu chechi who thought her many kerala recipes that Amma graciously passed on to me. 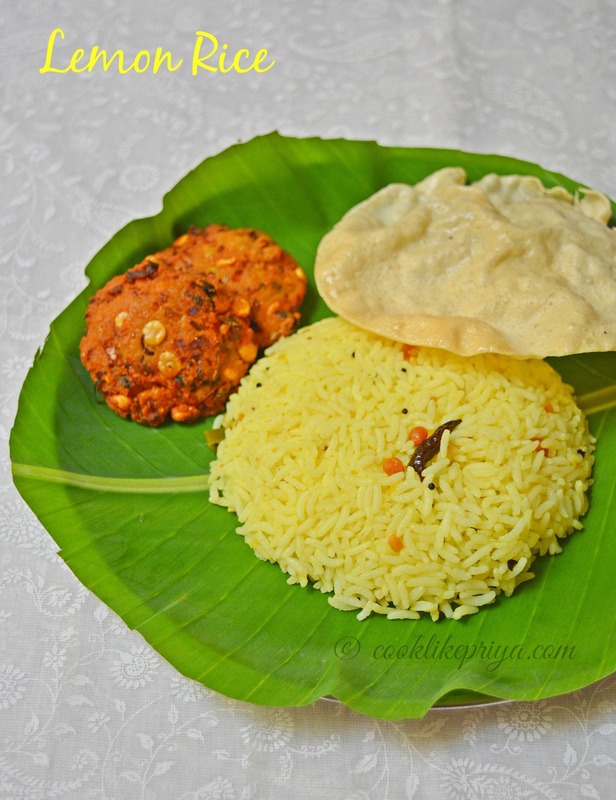 Although we love our Tamil food can never say no to Kerala recipes for their flavour and coconut indulgence. I am sure each household has their own recipe for a chicken stew this one is my own version. It totally depends on how rich or mild you want this curry to be. 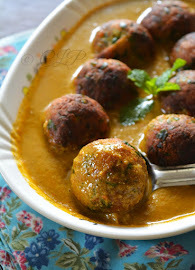 My version is mild and not rich but is perfect with appams/ idiyappams. My husband was one happy man to enjoy this breakfast combo on his birthday :-) who ever said a way to a man's heart is through his stomach was so right ;-). 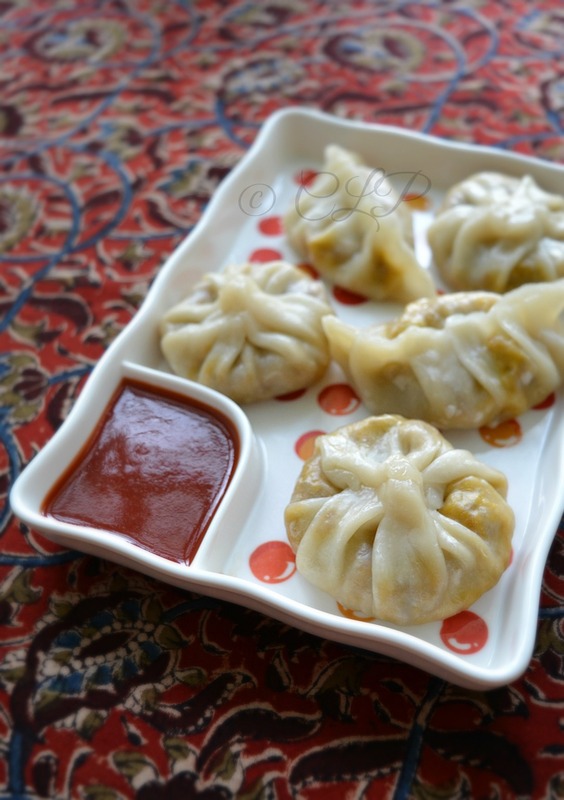 Soft spicy steamed momos, can there the someone who cannot like them? I crave momos just like cakes, cookies and ice cream. I pull my husband to the momo shops and simply devour them with every bite. Few months back a bunch of us met up for lunch and we ordered for veg momos and I was totally disappointed with the restaurant that served dry chewy momos that only had the taste of raw cabbage. I was so disheartened and complained to the restaurant manager and walked away not forgetting what happened. So the other day I was reminded of momos and wanted to make them from scratch and it turned out too good. Try this recipe and you will tell me the same. Schezwan sauce is used to spice up these momos and I did make the filling with loads of finely chopped vegetables. And as always have tips for making the easiest filling without spending much time on chopping vegetables. Chennai Beaches are known for their local street vendors crying out loud their recipes of the day, ranging from bajjis, vadas, sundal, cone ice (icecream) and chole (masala roasted corn on the cob). Although the rest of the dishes always took my interest to back then, Amma is a huge fan of these roasted chole and only recently have I found a liking to them. And when ever I go grocery shopping I pick up sweet corn cobs and store them in the refrigerator. 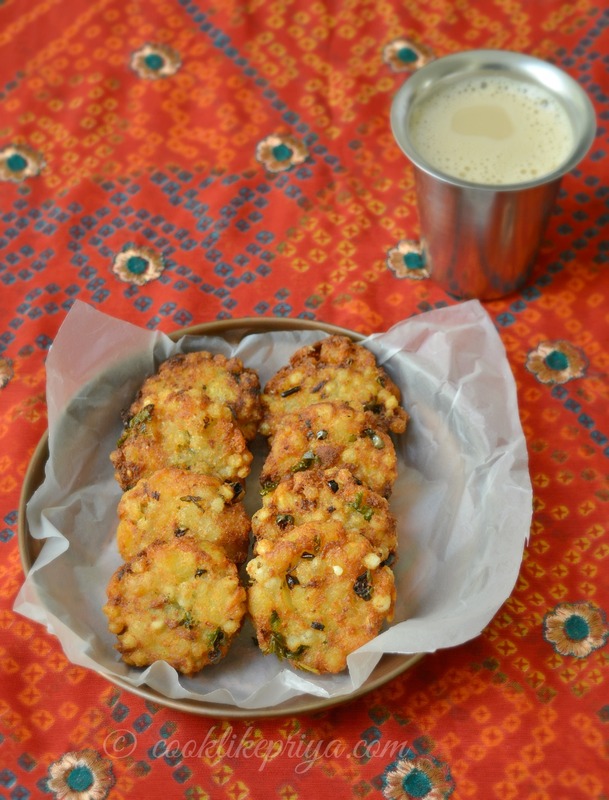 For instant evening munchies I either pressure cook them or make these masala corn, I love them both ways and definitely healthy way to enjoy your evening cuppa. Not only do beach vendors sell them sometimes street vendors also make these delicious chaar grilled corns on iron skillets with coal and fire. 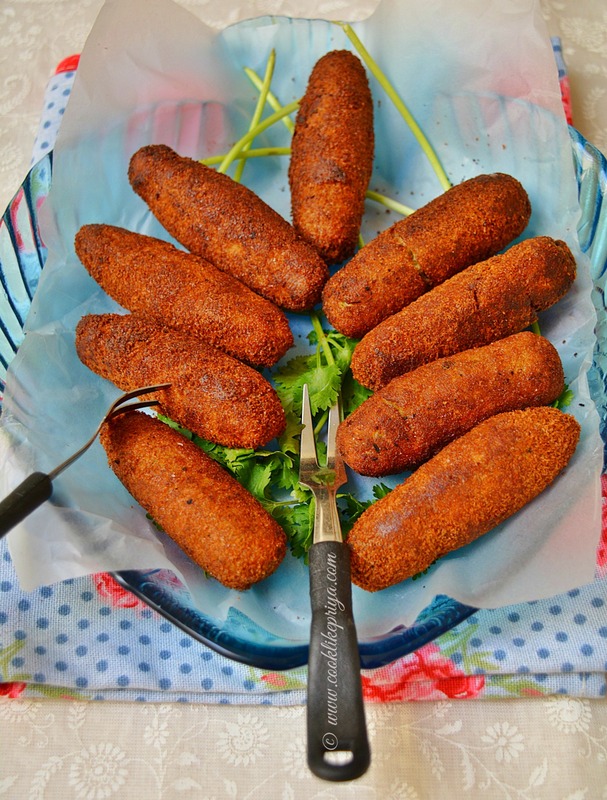 They taste even amazing with the chaar grilled taste. I have used sweet corn instead of the chole, I prefer the taste of sweet corn and for how soft they are to munch, you can use the same method to make roasted chole. Now lets move on to the recipe. 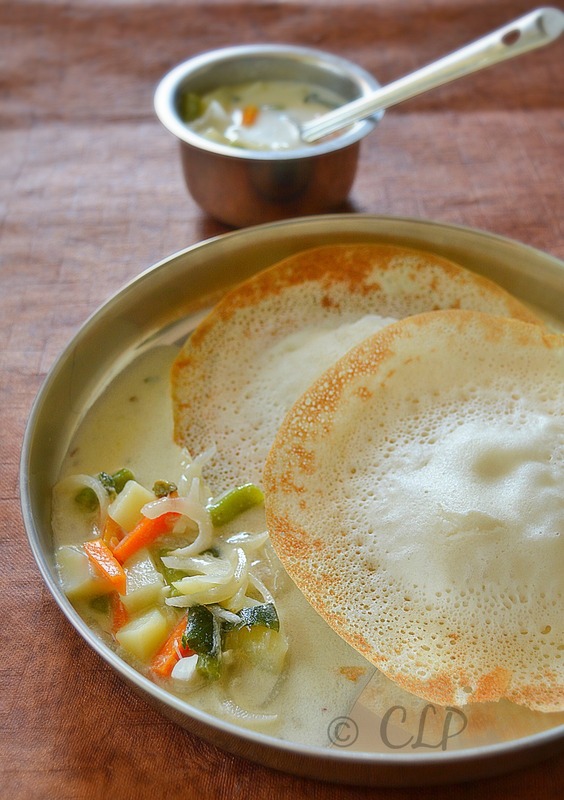 Vegetable stew with appam a perfect Mallu combination that no one must miss. I still remember one of my friend's mum who used to market this combo to invite me home for breakfast. And her tricks always worked :-). Years have passed and here I am making appam and stew at home and I must say this recipe works perfect every time I plan to make appams for breakfast/ dinner. Stew is a light thin curry made with vegetables/ chicken using coconut milk. I always prefer using fresh coconut milk but making it with canned coconut milk won't hurt. Make this delicious combo for your family and be ready to be flooded with praises. Last month when I was home I asked Amma to make Ragi/ fingermillet Puttu with kadala curry not like I am a big fan of puttu but because i was seriously craving for puttu. 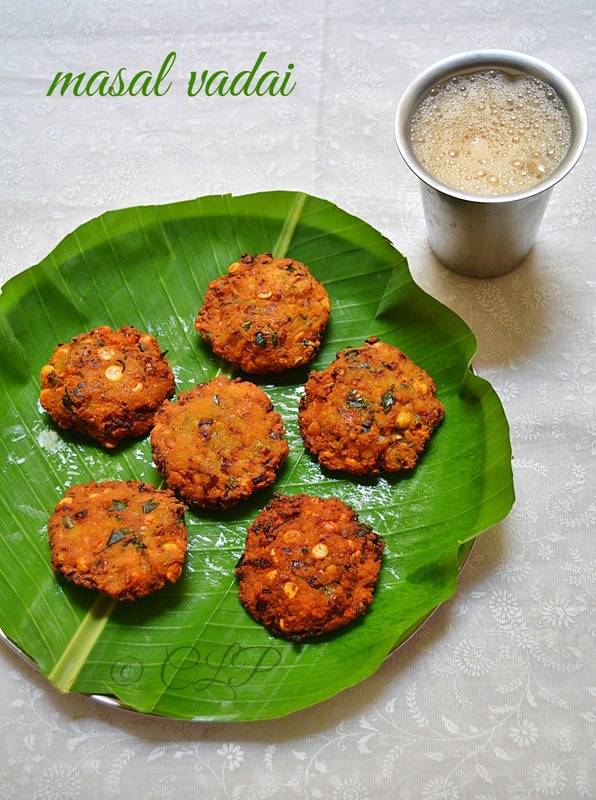 Something not the usual Tamil breakfasts like idly, dosa, poori, pongal types. And my craving for puttu was totally satisfied with this delicious combo. 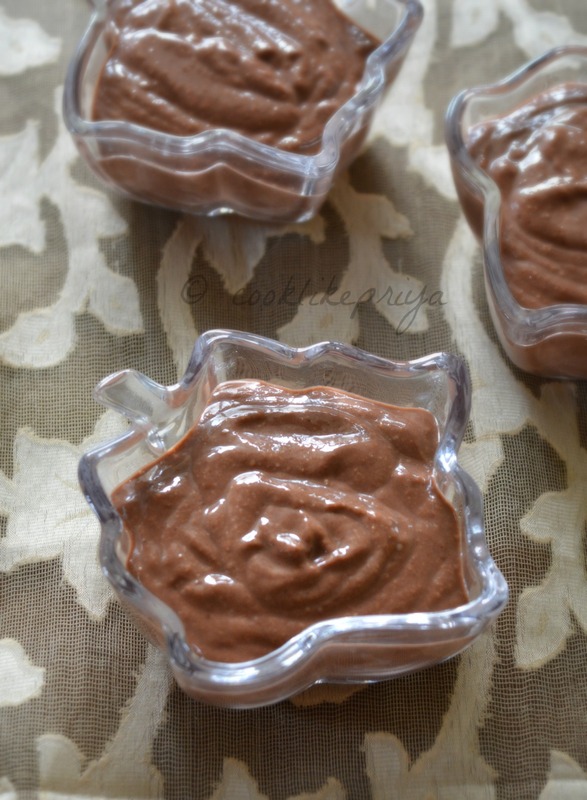 Although the white puttu beats the brown/ ragi one, I prefereed to have the ragi puttu for its health benefits. A perfect platter of puttu is filled with nutrition, protein, oil-free steam cooked for a healthy breakfast. 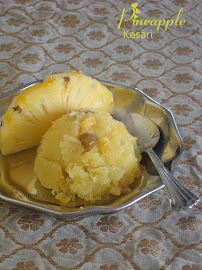 Kerala puttus are incomplete without the dose of coconut but you can always skip it if your curry has coconut. 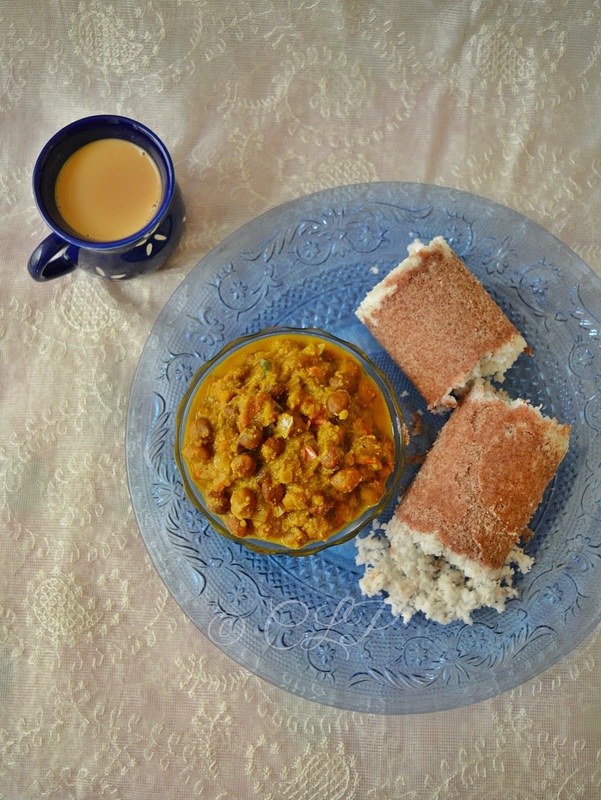 Now lets move on to the recipe of kadala curry and ragi puttu. Its time to announce the winners and I have to tell you all that the success of this blog is because of its readers and friends who endlessly encourage, support and motivate me. On celebrating 2 glorious years of writing this blog I wanted to give back to the people who have been with me in this two year journey. I must say that the competitive spirit did play well with many and everyone who participated did an amazing job. I had challenged everyone to 'try my recipes' featured in this blog. As they say all good things come to an end, here comes an end to this event and I am here to announce the winners of this contest. As I have mentioned in my earlier announcement post of the tips to win the giveaway, many had followed them and few missed out on the rules. But nevertheless the decision to choose the winner and runner up rests solely on me. There's never been a Sunday without Amma's Chicken Biryani/ Mutton Biryani those were my teenage days and what bliss to sit and enjoy home cooked biryani along with a good Sunday movie. Gosh I miss those days terribly. Life was so care-free sigh! but now I just relish those moments by cooking up Amma's recipes and enjoying great tasting meals along with my other half ;-). Biryani is this magic dish that just draws all your senses and taste buds together and any South-Indian cannot live without them. Although I was never a fan of heavy meals/ biryani I always grew up loving the biryani Amma made. It had the perfect colour, texture, taste and spices. I think a lot had to do with her method and love that went into the dish. Nevertheless without much non-sense lets move on to the recipe. Javvarisi Semiya Paal Payasam (Sago Vermicelli Milk Pudding/ Kheer). A real South Indian cannot live without payasam for a sweet occasion or rather any feast. Mastering a payasam does not take great efforts but practice. I learnt it the hard way. During my initial culinary adventures I used to get ready made packs of payasam mix, read the ingredient list and understood what goes into a payasam. But little did I know then the real procedure / cooking method which was the key to a great payasam. Nevertheless now I absolutely got the hang of it. 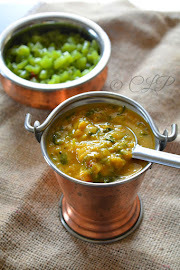 Paysam is so versatile and easy to make, the best part is it can be made quickly with ingredients in any Indian pantry. Although I must confess that I love relishing a chilled paaysam than the warm counterpart. Usually payasam is made with vermicelli/ semiya or javvarisi/ sago but today I have combined both ingredients to make this delicious payasam. Yay its weekend & I cannot believe that I am actually sitting on blogger typing a post. I know you must be wondering if I actually have time to blog on a weekend. 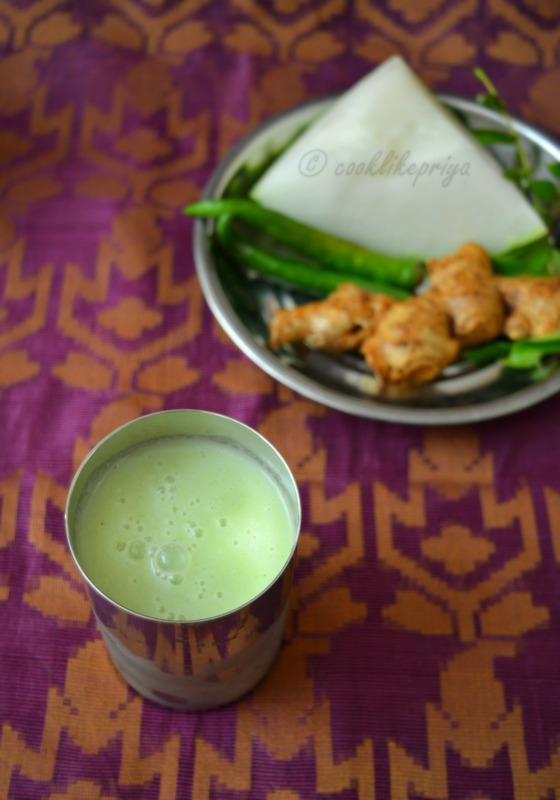 The truth is yes ;-) and this weekend was super lazy I am relaxing enjoying this simple sapotta/ chikku milkshake and typing a post. Nothing like sitting back and getting food delivered to your door step on those lazy days when you don't feel like cooking. You all know me better I never vouch for something I have never tried. Do check it out for yourself. Now lets move on to today's recipe. Vallarai Keerai / Brahmi leaves are known for its bitterness and like most of us, I also used to detest these greens. My first attempt to try a curry out of these leaves was a huge flop. From them I had this huge aversion towards them and it was more of a fear that I would waste time and ingredients trying to cook with them. 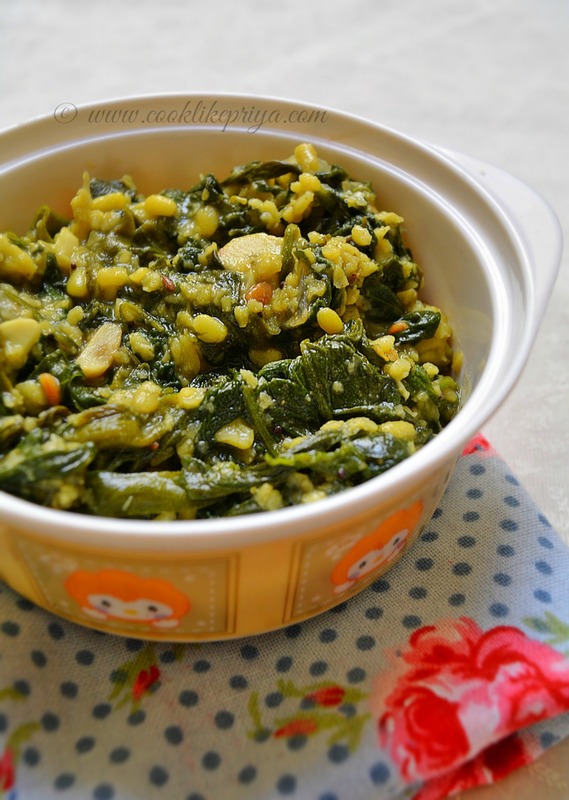 My impressions of these healthy greens has changed after I tried this thuvayal recipe that Amma had passed to me. Brahmi / Vallarai keerai is known for its medicinal properties, they promote blood circulation in liver, kidney and lungs. They are also known for skin health and can cure eczema, psoriasis and so on. 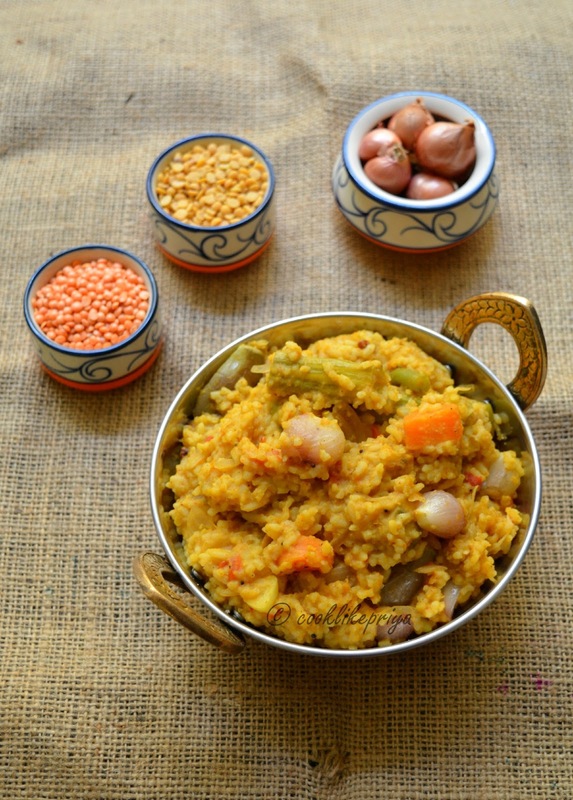 I love simple one pot meals, especially the one's Amma makes. This time on my request she made this super yummy Sambar Sadam its more like Bisibella Bhath but without the garam masala and more a Tamil style recipe that has mixed vegetables, gingelly oil and small onions. Its a simple preparation with a freshly ground spice mix. 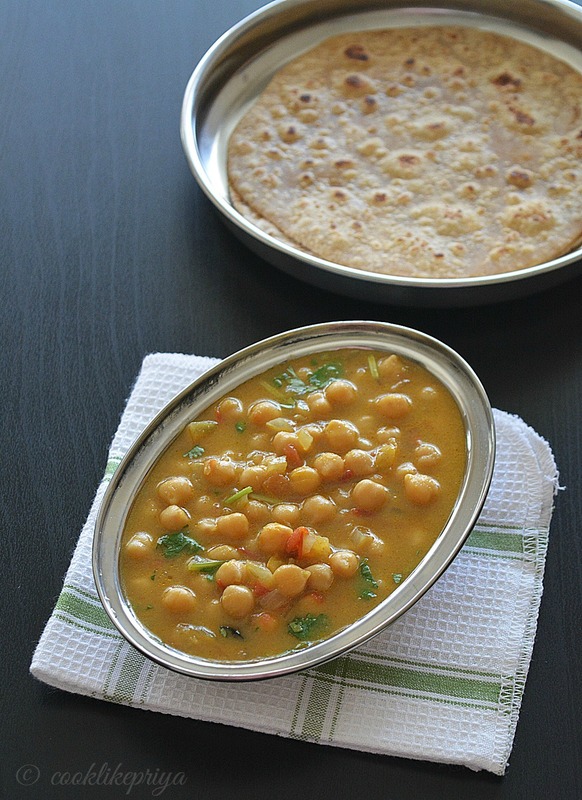 A great weekend lunch recipe, purely vegetarian and can be accompanied with papad and curd. 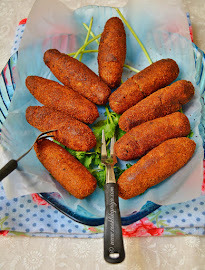 If you have guests who are vegetarian then this is a great recipe to serve. 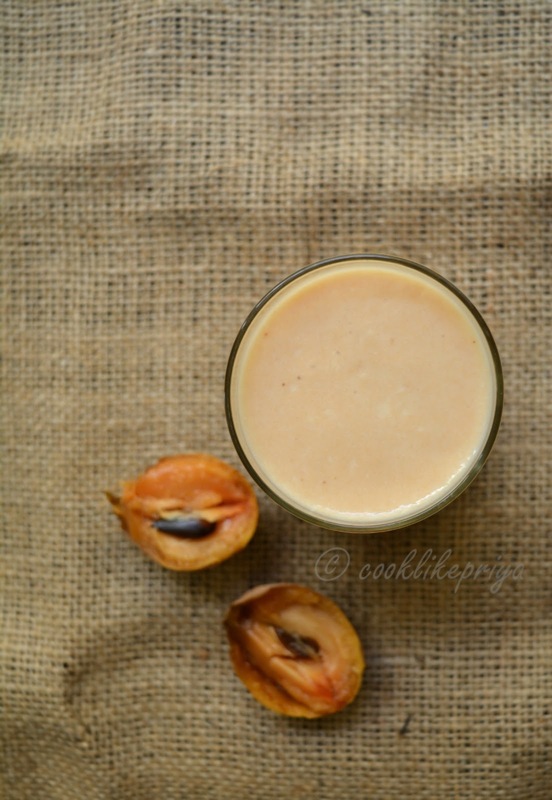 After posting Kollu drink for weight loss I had requests for weight loss drinks from readers. 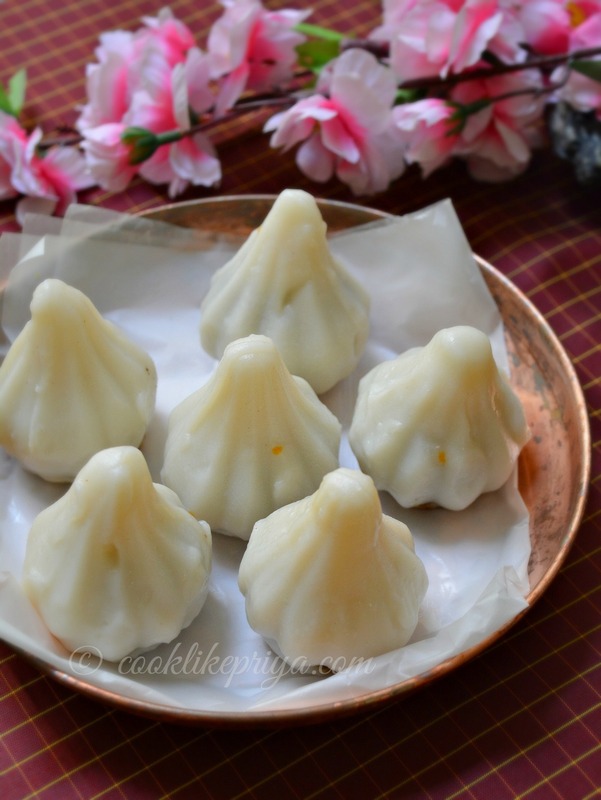 So wanted to share a simple Moor or buttermilk with vegetable (Poosanikai/ white pumpkin) that Amma makes for me whenever I come to see her. 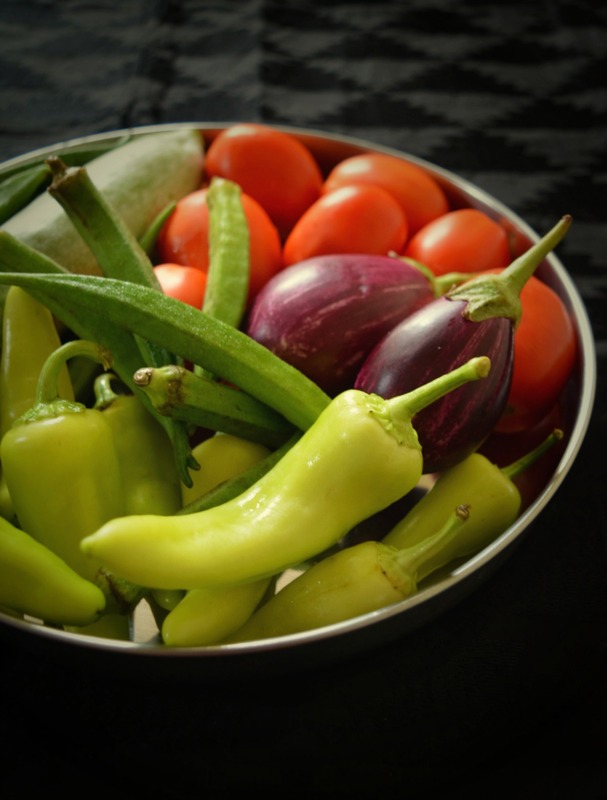 This is a great vegetable that helps you to lose weight and remove excess water retention in the body. 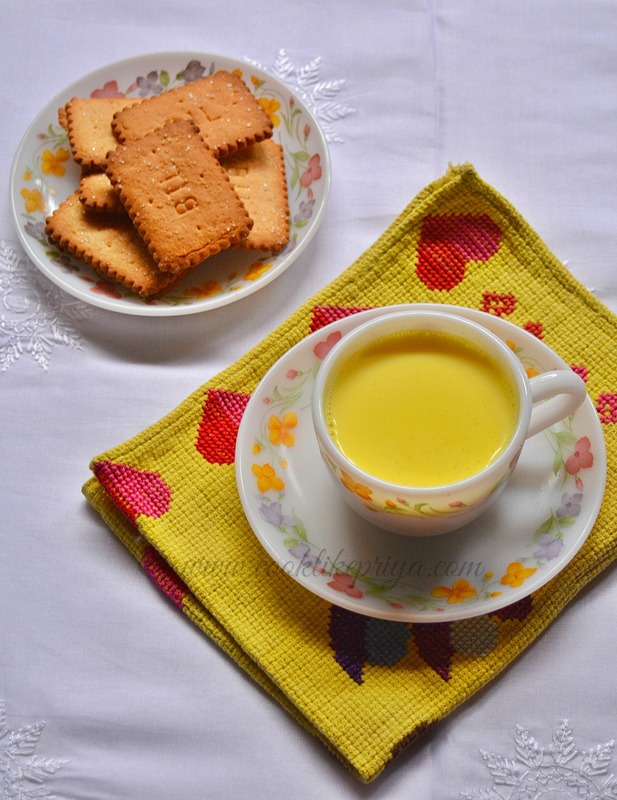 There is no specification that you need to have it in empty stomach but its best to have this during hot summers as this drink is a natural coolant for the body during hot days. If you are prone to cold please avoid this drink. White pumpkins are very low in calorie, filled with Vitamin A, B complex. They have anti inflammatory properties and best for people suffering joint pains. Pumpkins are also best for skin and hair health. 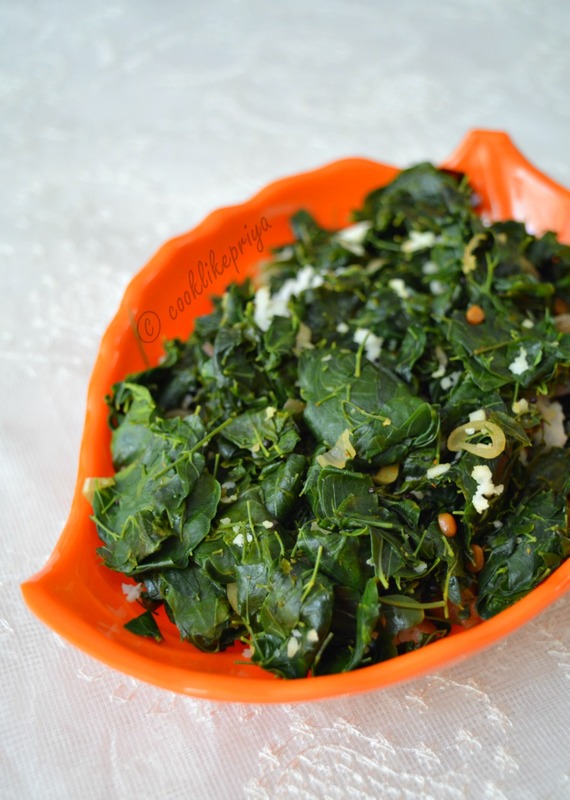 Drumstick leaves/ Murungakeerai are one of the most prettiest green varieties that are loaded with health benefits. I love any kind of greens and murungakeerai is no exception. For some reason its so hard to find drumstick leaves in my local market. So this time when I went home, Amma made this simple delicious drumstick leaves stir fry to go with our sambar and rasam. Drumstick leaves poriyal is more chunks with a unique taste and flavour. Its more mild and does not have a strong flavour. I totally love this combo and wanted to share this simple recipe here. Drumstick leaves are used to cure anaemia, thyroid disorder, joint pains, headache, high bp, stomach pain, ulcers, diabetes, diarrhoea and so on.